There are many long-term care insurance pros and cons to consider before you elect to purchase or forego coverage. We have done our best to put together a pros and cons list that addresses the main issues you need to ponder before making a decision on whether or not long-term care insurance is worth it. Ultimately, the answer to this question will be based on your unique circumstances, goals and objectives. 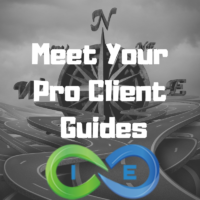 After looking at the pros and cons, talk to a professional that works with the top companies in the market. 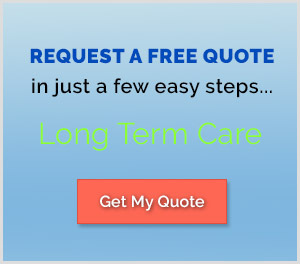 We work with the best long-term care insurance companies and can help you find the right insurance company and policy that fits your unique criteria. When asking the question is long-term care insurance is worth it, there are some advantages that must be considered. For many, the number one benefit of long term care insurance is the in-home care option. LTC insurance covers care and services for various options including in-home care, assisted-living facilities, nursing homes and adult day care. However, the majority of elderly seniors prefer in-home care to moving to an assisted living facility or nursing home, making this coverage definitely worth it. What about you? Would you prefer to remain in the comfort of your own home or be transferred somewhere else? For most people, this top benefit makes LTCI an easy choice. A lot of people opt to self-insure rather than buy a long-term care insurance policy. And for many that may be a good choice, particularly if you never need long-term care services. However, all too often the idea of self insuring does not pan out and you end up with very little money set aside in retirement. And then, when you need LTC you (or your family or conservator) are forced to find an option that fits into your limited budget. This option is often less than ideal and you end up living out the remainder of your life in an environment that you dislike or perhaps worse, fear. The alternative is to have LTCI that can provide for your quality of care and make sure you can either receive in-home care or can live out your life in a quality long-term care facility that provides a high level of quality care. Because let’s be honest, when it comes to long-term care facilities, not every care facility is equal. The reality is, long-term care insurance costs can be quite high. For example, a 60 year old man may pay around $3,200 a year for a policy that pays a daily benefit maximum of $200 for 60 months. But if you do the math, it could make perfect sense for you. Using our example above, a 60 year old man paying into a policy for 15 years, until age 75, would have paid roughly $48,000 in premiums over that 15 year time frame. Let’s assume he now qualifies for a long-term care insurance claim and is eligible for a maximum of $200 a day, or $6,000 a month. In as little as 8 months he would have recouped his premium loss. And since the median long-term care stay comes in around 2.5 years, the total amount received from LTCI would be $180,000, more than making up for the $48,000 in premium paid. Further, under the Long-Term Care Partnership Program, certain assets on the insured are protected. For example, if you use $20,000 in long term care insurance coverage to pay for Medicaid related expenses, you would be allowed to keep about $22,000 in assets as the applicant spouse AND about $142,000 in assets as a non-applicant healthy spouse. In the same line as asset protection, we have estate preservation. We can’t only consider how much money we can potentially protect with LTCI, without considering another benefit of LTCI, which is estate preservation. Suppose you are planning on leaving your home to your kids. You don’t want to sell because your home has appreciated greatly. Rather, you plan on passing your wealth on through your home, giving your kids a step up in basis. Now, what if your only alternative to pay for long-term care services is to liquidate your estate, including your home? Not only will your children be denied your home as an inheritance upon your passing, but there goes the step up in basis. And with the step up in basis, also the huge tax savings that would have been included. For example, suppose you bought your home for $100,000 many years ago. Today, it is worth well over $1,000,000. Under current tax law, part of the appreciation in your home would be taxed over your $250,000 home sale exclusion. Here is the math: $1,000,000 minus $100,000 = $900,000 taxable gain. $900,000 minus $250,000 home sale exclusion ($500,000 for couples) equals $650,000 taxable gain of 20% or $130,000 in taxes owed. However, if you pass it to your children, they would receive a step up in basis to the value of the home at your death. That way, when your beneficiary sells your home, they are taxed based on how much it has appreciated from the value at the date of death, rather than your original purchase price. Here is the math: $1,000,000 home, with a step up in basis to $1,000,000. Your beneficiary children sell it for $1,000,000 after receiving it as an inheritance after you die = $0 taxes owed. Typically, reimbursements of actual expenses are not taxable as income, even if the reimbursement exceeds the per diem limit. However, payments received in excess of the greater of per diem tax maximum limits or actual expenses paid are probably going to be taxable as income. The current IRS per diem maximum for 2017 is $360 a day or $131,400 annually. And similarly to life insurance benefits not being taxed, accelerated death benefits under IRC Section 7702B are generally excluded from income taxation. Also, your long-term care insurance premiums may be tax deductible. If you are older than 60 but not older than 70 the maximum you may be able to deduct is $4,160 per spouse, a potential deduction of $8,320 for the household if both husband and wife have a policy. If you are older than 70, each spouse may be eligible to deduct up to $5,200 in LTCI premiums, a potential deduction of $10,400 for the household, if both husband and wife have a policy. In addition, you may be able to use funds from your HSA to pay your LTC insurance premiums. For 2018, if you are older than 50 but not more than 60, you can use up to $1,560 from your HSA. If you are older than 60 but not more than 70, you can use up to $4,160 from your HSA. If you are older than 70, you can use up to $5,200 from your HSA. It is empowering to know you can make your own decisions, if you are able. Or you can leave instructions in your Living Trust as to your long-term care wishes. With LTCI, you are afforded the ability to choose where you receive your LTC services, be it in-home, at a nursing facility, a convalescent home, etc. Your long-term care coverage also provides other benefits that make it worth it, such as home modifications to make sure your home is equipped and able to meet your changing health and lifestyle needs. Further, some LTCI policies provide training for family members or friends who you prefer to be your care taker, so that you are cared for by family members or friends who love you. LTCI provides you with the peace of mind knowing that if you need long-term care coverage you have it. All too often the best laid plans of men come up short of actually delivering. You might think you will “self insure” but most people never get around to setting money aside. Instead, most people find themselves at a point where they waited too long, and can either not afford the high premiums due to their age, or have a health issue that makes them ineligible for LTCI coverage. The best long-term care insurance plan is the one you execute when you need it. Above we listed the Top 7 Pros of long-term care insurance. However, along with these advantages, there are also some disadvantages that need to be addressed. Long-Term Care Insurance may not be worth it for you because it is cost prohibitive. The older you are, the more expensive it will be. And if you are a female, your premium will be higher because women tend to outlive men. So, consider ways to save on long-term care insurance. One step to save would be to buy today, rather than down the road when you are older, have pre-existing conditions and premiums are higher. Another way to save would be to look for discounts. A spousal discount, where you and your spouse get coverage with the same insurance company, may save you up to 15% on your long-term care insurance premiums. In addition, consider increasing your elimination period. A longer elimination period makes for lower premiums. Adjusting your benefit multiplier, AKA your benefit period, is another option to save on LTCI. The shorter your benefit period, the lower your premium. So, choose a 36 month benefit period, rather than the more expensive 60 month benefit period to save on your LTCI. Finally, your maximum benefit can be adjusted high or low. The lower your maximum benefit amount, the more affordable your long-term care insurance premium will be. Although LTC insurance is “guaranteed renewable”, that does not mean the premium remains fixed. Premiums on traditional long-term care insurance that does not provide a life insurance element have historically increased. Primarily, premium increases has been due to an extended period of low interest rates which put pressure on the long-term care insurance companies, requiring them to raise rates on certain groups or “classes” of insureds. It should be noted that the increased premiums must occur for a “class” and are not raised on individual policies. Further, insurance companies have a lot more data to use nowadays when underwriting these policies, so premiums on newer policies are less likely to increase, particularity at the rate at which older policies have. An alternative to traditional pure LTCI is to choose life insurance with long-term care rider plans. These hybrid long-term care life insurance policies offer fixed premiums. And you can purchase them as limited pay life insurance, such as single premium, 10 pay, and 20 pay. The advantages of hybrid long-term care insurance policies is you get the benefit of LTCI if you need it. In addition, you also get the cash value component to use in life and death benefit payout to your beneficiary when you die. As with most forms of insurance, you have to qualify for long-term care insurance. If you have a history of pre-existing health problems your premium may be too high, making it not worth it since you cannot afford it. In addition, tobacco users pay more than applicants who do not use tobacco. So, even if you want LTCI, you may not be able to get it. And the older you are, the more likely you will be declined coverage. Another traditional long-term care insurance drawback is you may never need a policy you just dumped a lot of money into. Statistics show the older you are, the higher likelihood you will require some sort of LTC service. A Genworth study reported that those 85 and older had a 55% likelihood of needing long-term care. But there are those lucky people who beat the odds and never require LTC. An alternative is a combination of long-term care and life insurance. Combo policies provide coverage for long-term care, a lump sum death benefit, cash value accumulation and potential return of premium. If you are interested in long-term care insurance but you are concerned about the “use it or lost it” aspect of traditional policies, consider a combination policy. Many people feel that since you get either the LTC benefit or death benefit make these hybrid long-term care insurance worth it. Often, when you start researching LTCI it can be overwhelming. The amount of information to process can cause “analysis-paralysis” and keep you from doing anything. However, there is a way to help reduce the confusion and calm your anxiety. You can give us a call and let us help you gain the insight and expertise you are looking for to make an informed decision. We will not pressure you. We are simply here to educate and guide you along the process at your desired pace. And if you find that there is a better route for you to go to cover long-term care expenses, then we will gladly encourage you down that road. Not every condition is covered by your typical LTCI policy. There are exclusions you need to be aware of. aviation activities if not a fare-paying passenger. Deciding whether to purchase long-term care insurance coverage or not can be daunting. Our advice is to give us a call and let us walk you through the different options you have. We can help you assess your unique situation and make a recommendation on what is in your best interest. We represent many of the best long-term care insurance companies and asset-based long-term care insurance companies in the marketplace. We can help you find and get the right coverage at the right price for you, based on your goals and objectives.